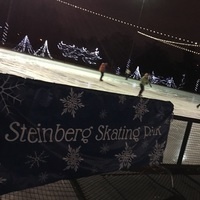 Join MBU friends under the stars for a fun night of ice skating at Missouri's largest outdoor ice skating rink, located in the heart of Forest Park! Free skate pass and rental for MBU students. No sign up necessary! Optional transportation provided on a first come basis. Bus will leave from Chapel at 6:15pm and depart Steinberg at 9 p.m. However, if you'd like to provide your own transportation, there is ample parking next to the ice rink! Skate passes will be distributed in the Steinberg Rink lobby from 6:30 - 8pm. Non-MBU friends are welcome to come, but will be responsible for their own skating cost. Rink is cash only.